Last year’s Summer outing, when we took the Carlingford Ferry across from Greencastle and walked from Greenore to Lily’s! A reminder to everyone, that this weekend we are walking Saturday, (4th of August) and not Sunday. 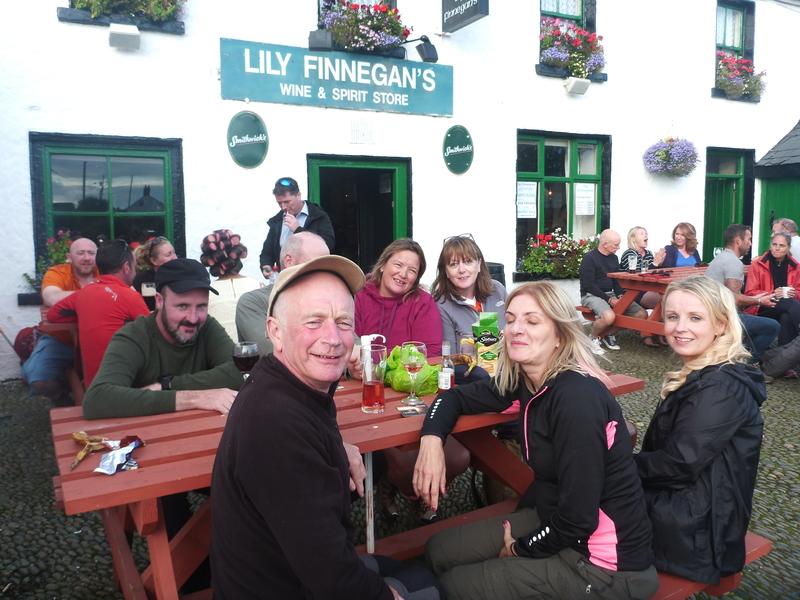 This is our Summer Social Event ending at Lily Finnegan’s Pub, Whitestown. The walk is a 15 km track starting in Ravensdale, taking the forest trails across Moneycrockroe, descending into the valley on the other side where we pick up the road for 2/3 km before reaching Glenmore, Barnavave and the deserted famine village. From there we will take the Mass trails into Grange, where our bus will be waiting to transport everyone on wards to Lily Finnegan’s for a BBQ and evening of craic. The walk will be in and around 4 hours, all walkers must have walking boots, a water/wind proof jacket and a packed lunch. Cost is £20 which includes bus to and from starting/finishing points and BBQ. Bus will leave Gap O’ the North Pub, Jonesborough at 11.30 sharp and will return to Jonesborough around 8 pm. Anyone interested please message and drop money off as places are filling up quickly!